For over 40 years, National Pestmobiles has been providing commercial pest control services for businesses throughout the Dallas metroplex. With long-standing relationships with such notable corporations as Registry Custom Homes and Retail Plazas, Inc., we are happy to service all commercial businesses, if the need arises. Our commercial pest management program consists of a thorough inspection of your business by one of our certified technicians. A gathering of information will be conducted regarding construction, existing evidence of pests, moisture conditions, possible entry points, and other significant information. 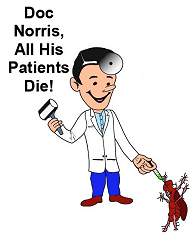 Our technician will then provide a customized commercial pest treatment program for your place of business. Our foremost goal is to implement materials into areas where pests colonize. Upon request, we are happy to provide certificates of insurance, reference material, and emergency contact information. What is included in a commercial service treatment program? Initial Service - Commercial Pest Control services provided by National Pestmobiles will correct any existing pest problems as soon as possible. Regular Scheduled Service - We will provide a routinely scheduled preventive maintenance program coordinated so not to disturb the normal routine of your business day. Additional Service Calls - Should you have a need for additional service calls between normally scheduled visits, there will be no additional cost.